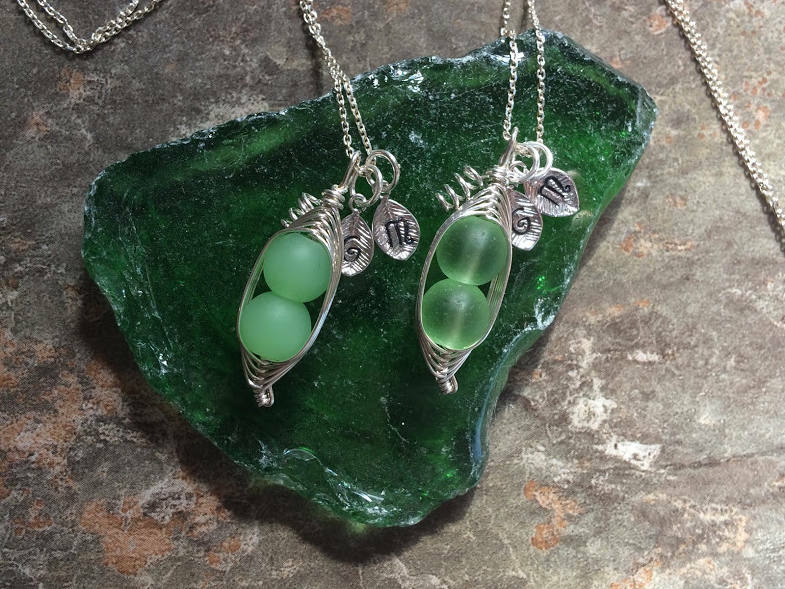 Personalized Green Sea Glass Peas in a Pod Necklace with initial tags. 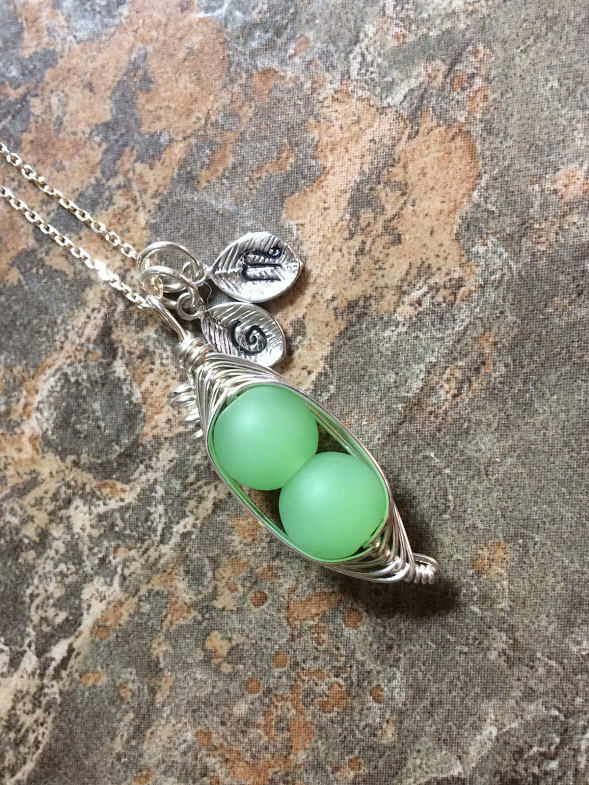 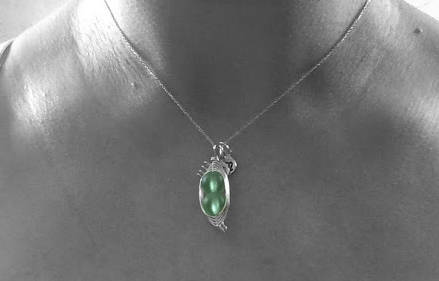 A beautiful, custom gift idea. 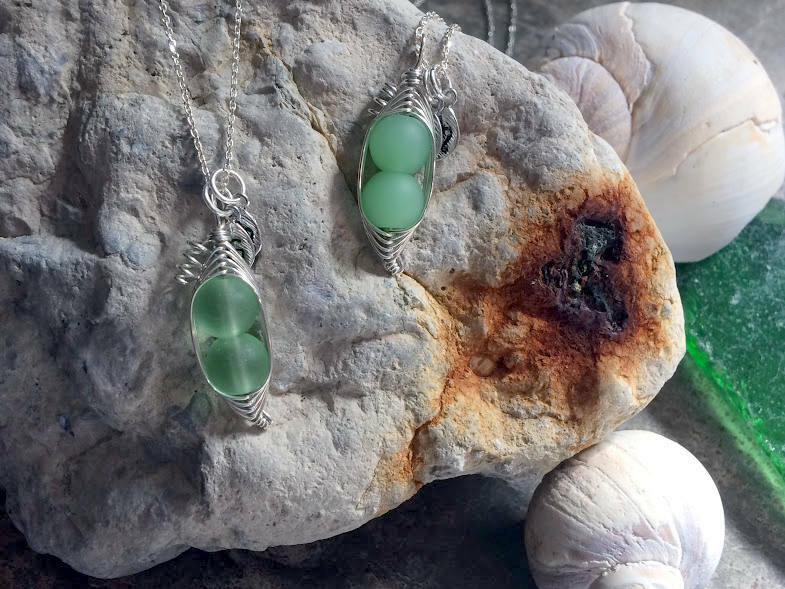 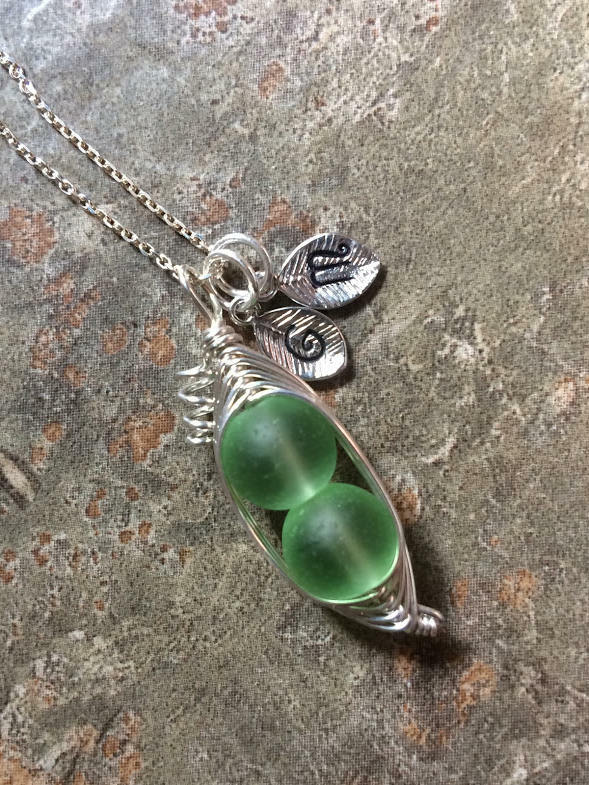 These limited edition sea glass pea pods are made with real sea glass. 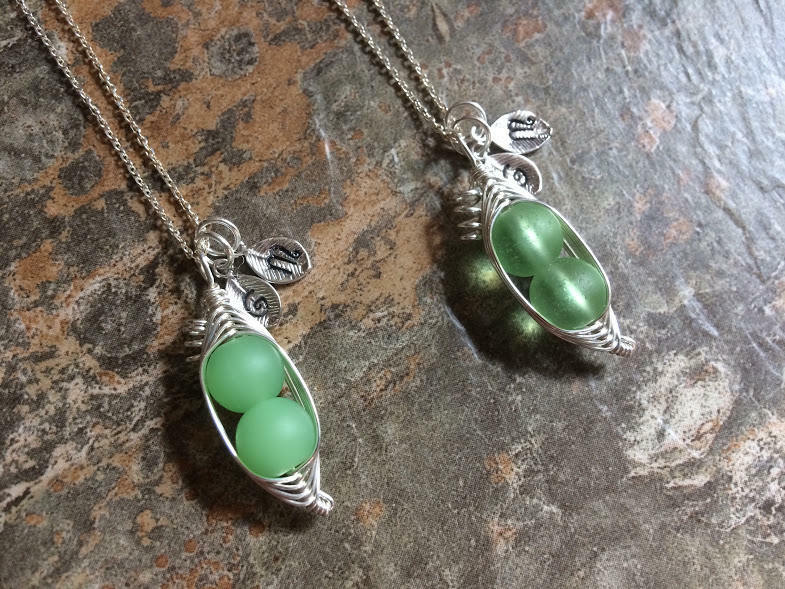 The beads are approximately 8mm and may show some pitting from its time in the ocean. 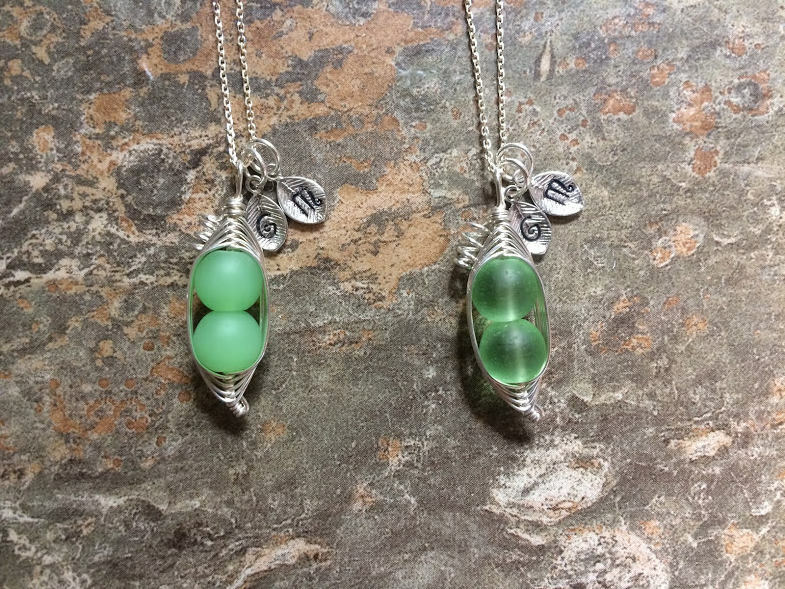 Your necklace will be boxed in a white jewelers box and tied with an organza ribbon.